A historical movie produced and directed by Mel Gibson, who also starred in the title role. Gibson portrays a legendary Scot, William Wallace, who gained recognition when he came to the forefront of the First War of Scottish Independence by opposing Edward I of England and subsequently abetted by Edward's daughter-in-law Princess Isabelle (played by Sophie Marceau) and a claimant to the Scottish throne, Robert the Bruce. Braveheart Movie Prop Peplicas, Figures, Toys and Collectibles! 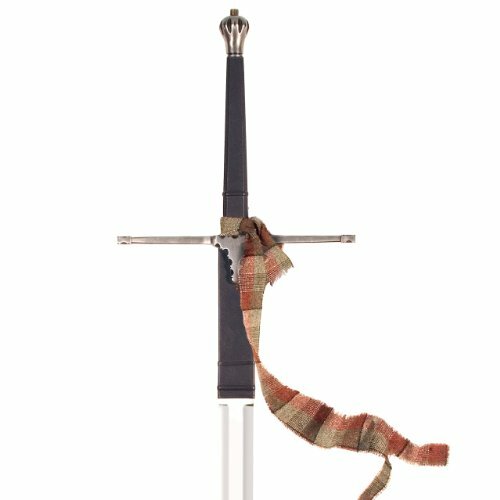 Celebrating its 15th anniversary, Windlass Steelcrafts is proud to bring you, for the very first time, the Officially Licensed Braveheart Sword as used on screen. Working directly with the master armorer from the original production, Simon Atherton, we have expertly reproduced in every detail the famous sword of William Wallace as carried by Mel Gibson. This impressive broad sword is hand forged of high carbon steel, fully tempered and with a full tang as the original was and would have been made to further add to the realism. The authentic materials extend to the custom wood grip and oil tanned leather wrap. No scabbard available. Nothing has been left out, you own the exact version as carried on set. Includes full color wood display plaque, certificate of authenticity and even the exact custom made, wool tartan strip tied to the handle as seen in the film. 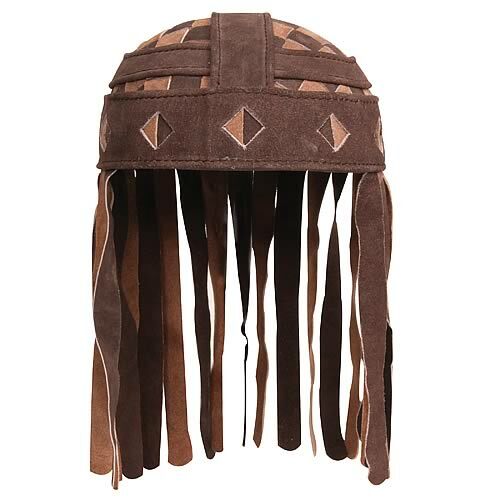 This famous and exacting replica is a must for any movie or history aficionado. It is important to note when purchasing a licensed collectible that for legal & liability reasons the licensor may not allow a sharpening service to be performed. This in no way affects the overall value and/or performance of your edged collectible, and unfortunately is not within our power to change. Should you choose to sharpen your edged collectible after sale, the licensor and licensee are not held liable for any damage or injury that may result from its use or handling. Be William Wallace! 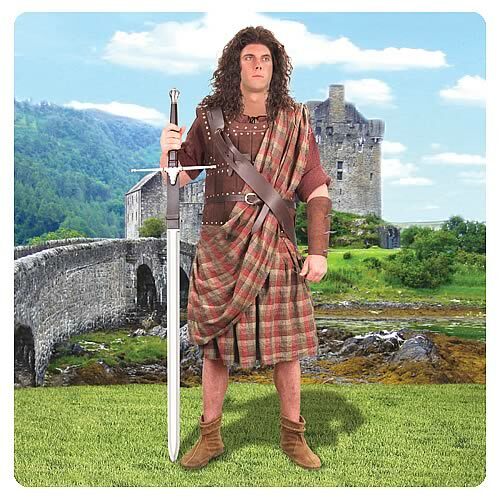 Straight from the bloodied battlefields of the Academy Award-winning film Braveheart, comes this remarkably realistic, film-accurate replica of the leather brigandine worn by actor Mel Gibson in his portrayal of William Wallace. 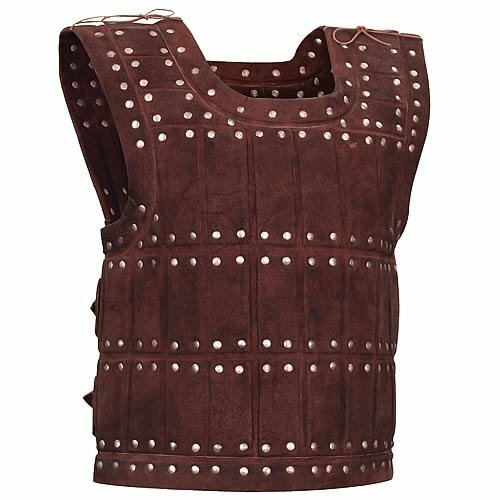 Expertly crafted of thick-padded, custom-formed suede, with two back straps for full adjustability, this spectacular reproduction will make you feel like you're there in the action whether you're wearing it as part of your costume or viewing it in the battleground of your own collection! Available in one-size fits all! Celebrating its 15th anniversary, Braveheart fans have a reason to cheer with this splendid collection from Museum Replicas of high-end, film-accurate prop replicas based on the Academy Award-winning film. 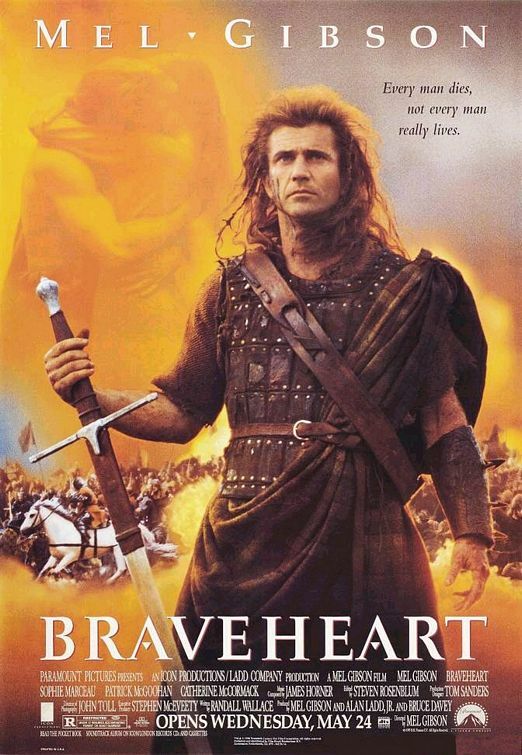 Winning 5 Academy Awards-- including Best Picture and Best Director-- the epic drama Braveheart was directed by, produced by, and starred Mel Gibson. Gibson portrayed William Wallace, a Scottish warrior who gained recognition when he came to the forefront of the First War of Scottish Independence by opposing King Edward I of England. Celebrating its 15th anniversary, Braveheart fans have a reason to celebrate - with this stunning and screen-accurate replica of William Wallace's Great Kilt. Designed from the actual screen worn costume, this piece contains over six yards of material! Hidden elastic and multiple ties allow for a perfect fit. A 62-inch long brown leather belt is included. 100% cotton. Celebrating its 15th anniversary, Braveheart fans have a reason to celebrate - with this stunning and screen-accurate replica of William Wallace's shirt. 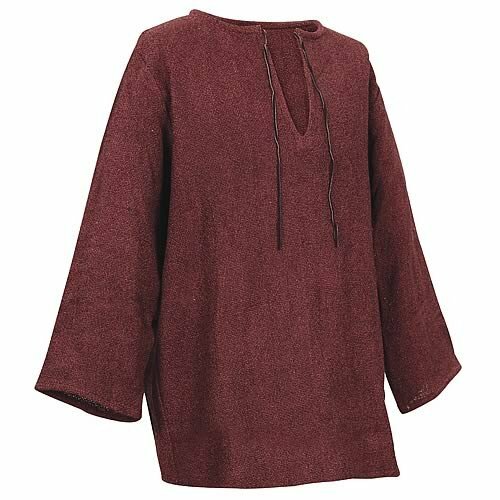 Rough-textured yet incredibly soft, this long-sleeved shirt features leather ties on both the neckline and shoulers (for kilt), and is a poly-cotton blend. Winning five Academy Awards - including Best Picture and Best Director - this epic drama was directed by, produced by and starred Mel Gibson. Gibson portrayed William Wallace, a Scottish warrior who gained recognition when he came to the forefront of the First War of Scottish Independence by opposing King Edward I of England. 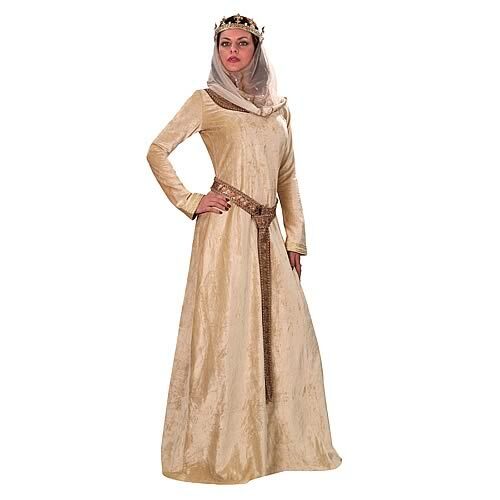 Celebrating its 15th anniversary, Braveheart fans have a reason to celebrate - with this stunning and screen-accurate replica of Princess Isabella's gown, as worn by actress Sophie Marceau. ​The film was nominated for ten Academy Awards at the 68th Academy Awards and won five: Best Picture, Best Makeup, Best Cinematography, Best Sound Editing, and Best Director.